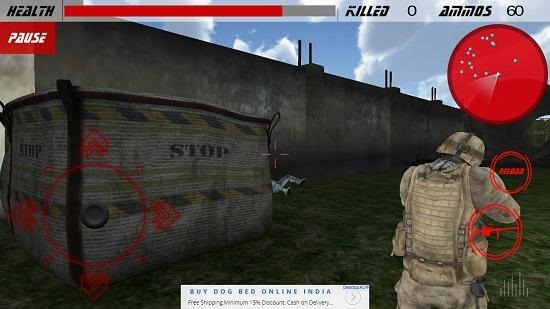 Kill Contract Defence: Strike is a free shooting game for Windows 8 and 8.1 where you play as an army commando. The aim of the game is to eliminate all the competing enemies by shooting them with your rifle. The game is designed in a third person shooter format and is pretty lightweight for all that it’s worth. The game has easy controls and it can be played by both the keyboard as well as the touch screen controls as well and thus the game makes for a great download on touch and non touch devices alike. Kill Contract Defence: Strike is available for free from the Windows App Store. When you run the game, you will be presented with the below shown screen upon launch. Just click on the Start button at the bottom left of the screen and you will straight off be taken to the gameplay screen. This is shown in the screenshot below. You can control the gameplay by either keyboard controls or via on screen touch controls. You may use the WASD and arrow keys to move around and left mouse to shoot and right mouse button to reload. You can see the health meter and enemies killed, ammo etc. at the top as well. Enemies are visible as white dots in the radar at the top right. 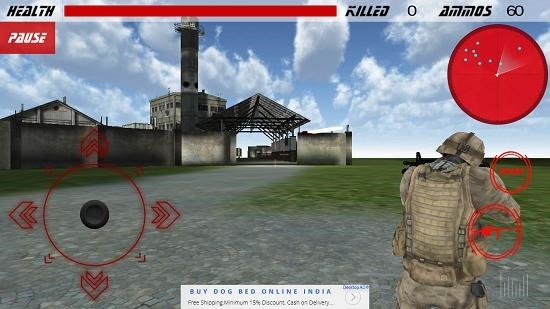 One of the enemy killed in combat is shown in screenshot below. The game has good graphics overall and runs pretty smooth. 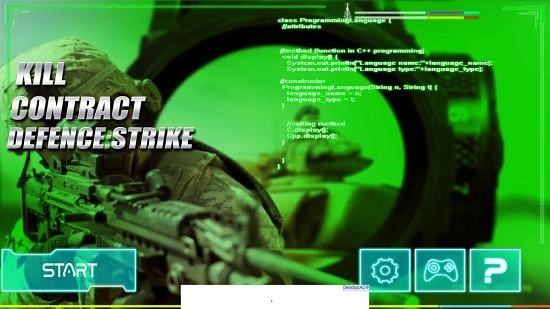 Kill Contract Defence: Strike is a well designed game for Windows 8 and 8.1 which will awaken the inner soldier in you. The game is lightweight and is freely available from the Windows App Store via the link attached below. Get Kill Contract Defence: Strike.